An NFL linebacker has his iPad with the team playbook stolen, a man accused of breaking into a school to steal iPads gets permission to attend his friend's "stag do," and more from the Apple-centric crime ledger. The latest in an occasional AppleInsider feature, looking at the latest news in Apple-related crime. A recently drafted NFL player had his car broken into this week, and among the items stolen was a team-issued iPad that included the team's playbook. The Chicago Tribune reported that Roquan Smith, a linebacker who last month was drafted in the first round of the NFL Draft by the Chicago Bears, had had numerous valuable items stolen, including sports memorabilia, watches and and four pairs of headphones. 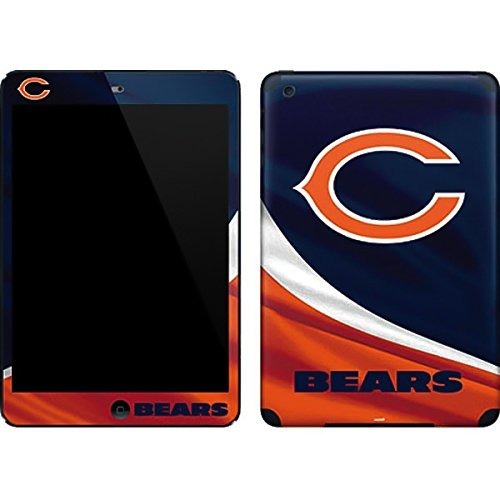 The iPad was both password-protected and remotely wiped, and "there was no compromise of Bears (information)," a team spokesperson told the newspaper. Some of the stolen items —though not the iPad —were later recovered. The MacBook belonging to a Dutch student was stolen from an airport security station at London City airport —and the owner is complaining that airport personnel didn't do enough to stop the thieves. According to The Guardian, security at the airport didn't look at CCTV footage until it was too late, and now, the woman has received ransom demands from the thief. Man accused of stealing 37 iPads from a school allowed to attend "stag do"
A man in Northern Ireland who had been accused last year of breaking into an elementary school and stealing more than 30 iPads has been allowed by a court to attend a friend's bachelor party. According to the newspaper The Impartial Reporter, 27-year-old Dylan Stephen Douglas James Phair had sought relaxation of his bail conditions in order to attend the bachelor gathering, referred to as a "stag do," in Galway, which is about 200 km away in the Republic of Ireland. Phair had been charged for the break-in and thefts in November 2017; he was described by his own barrister in court as "not particularly clued in." Police are looking for a man who they say executed the theft of an Apple Watch from a Kohl's store in Kentucky by buying the Watch and then returning its empty box. According to the Daily Camera, the man bought an Apple Watch from Kohl's with cash and later returned it. When the Watch was later sold to another customer that person discovered the box was empty. The man was caught on in-score security cameras during both parts of the scheme. An Ohio man was arrested after he was caught using bogus money to buy an iPhone from someone via an e-commerce app. WFMJ reported that the 33-year-old man was caught after he bought the iPhone for $300 and the other party in the transaction realized the money was fake. A search of the man's apartment turned up multiple iPhones as well as $12,000 in "money" that was stamped with the phrase "ONLY MOTION PICTURE PURPOSES," while an additional $8,000 was found in his car. He was charged with theft, possessing criminal tools, receiving stolen property, and criminal simulation; when police arrested him he reportedly told them "man you got me, I f***** up." An Illinois man has been arrested for stealing more than $12,000 worth of Apple products, including iPhones, watches and computers, from a CDW warehouse in the Chicago suburbs. According to the Chicago Tribune, CDW discovered the items were missing and actually requested a subpoena of Apple's product registration records, which led them to the perpetrator. The alleged thief was a former employee of CDW, who they say registered three stolen iPhones. The man's lawyer told the newspaper that he denies stealing anything. A man and woman have been arrested for carrying out a series of smash-and-grab thefts at Florida Sprint stores. According to Local 10 the pair operated by entering stores, forcibly ripping the devices from their anti-theft cords, and then fleeing quickly once alarms sounded. Multiple thefts by the pair were caught on store security cameras. In other Central Florida iPhone theft news, police are looking for a man who was caught on surveillance video stealing an iPhone X from the hostess counter at a local restaurant. According, once again, to Local 10, the man who was picking up a takeout order from Duffy's Sports Grill in Plantation, Fla., when he grabbed the phone as well.